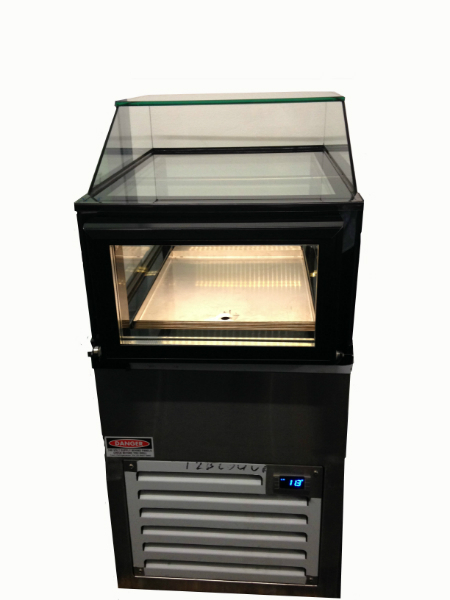 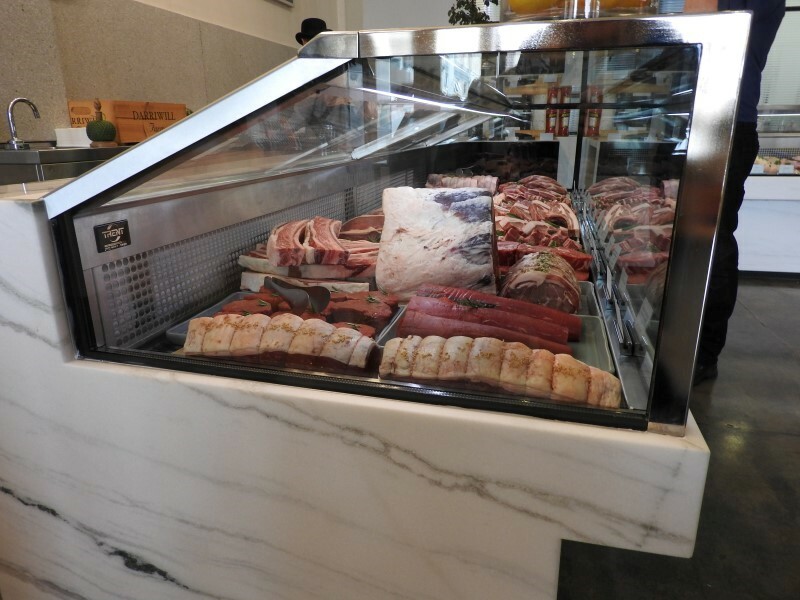 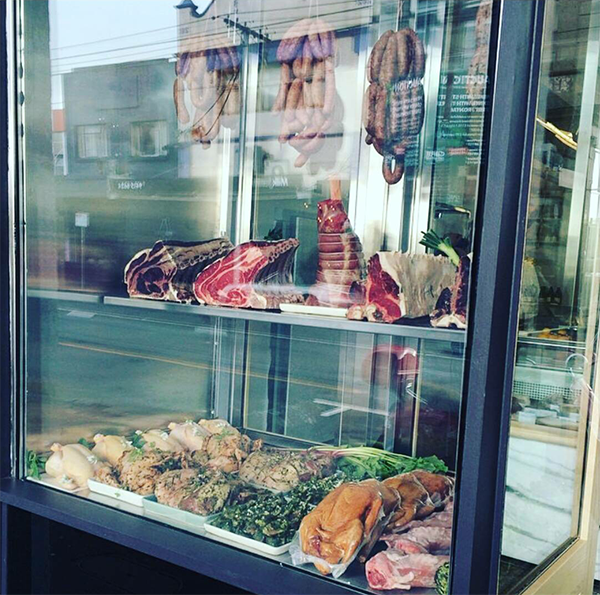 The traditional butcher window display would not hold temperature, but is a vital part of merchandise for strip shop butcher. 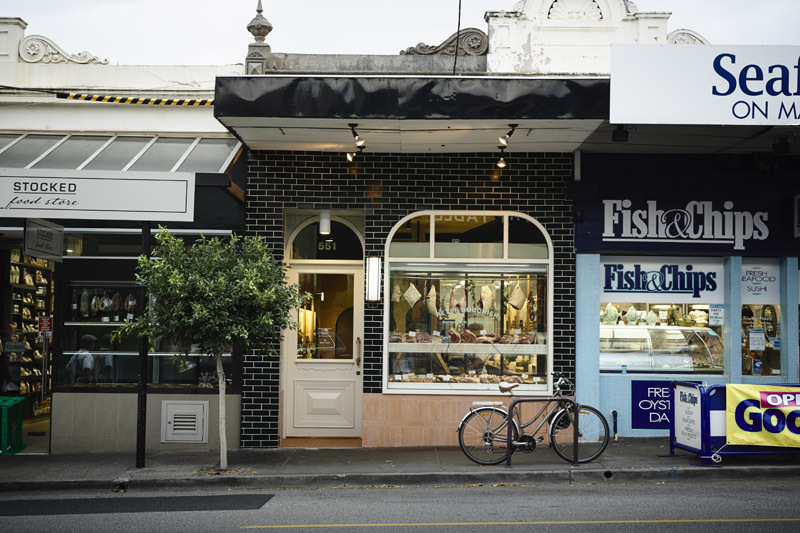 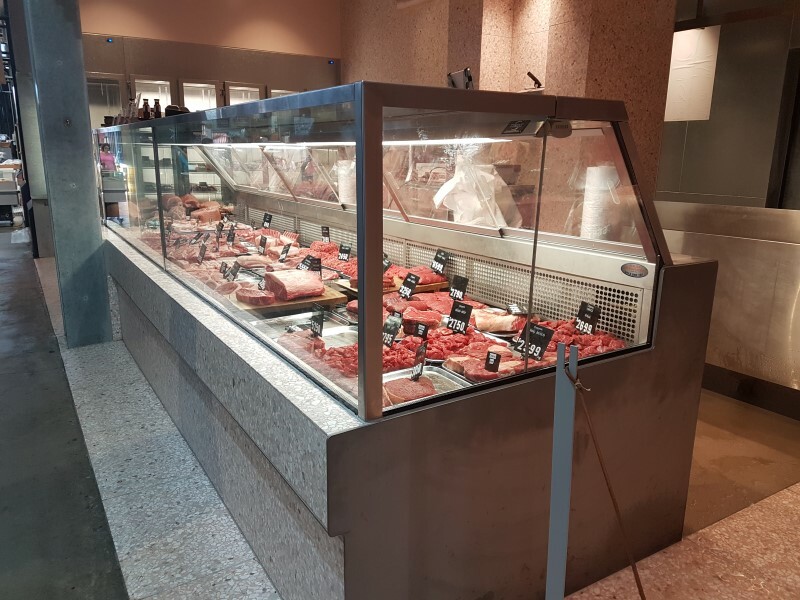 Instead of pushing an old display up to the shop window, Trent has devised a method turning the shop front into a valuable street advertisement for the Butchers, Deli’s or food stores, to entice passing trade into the shop. 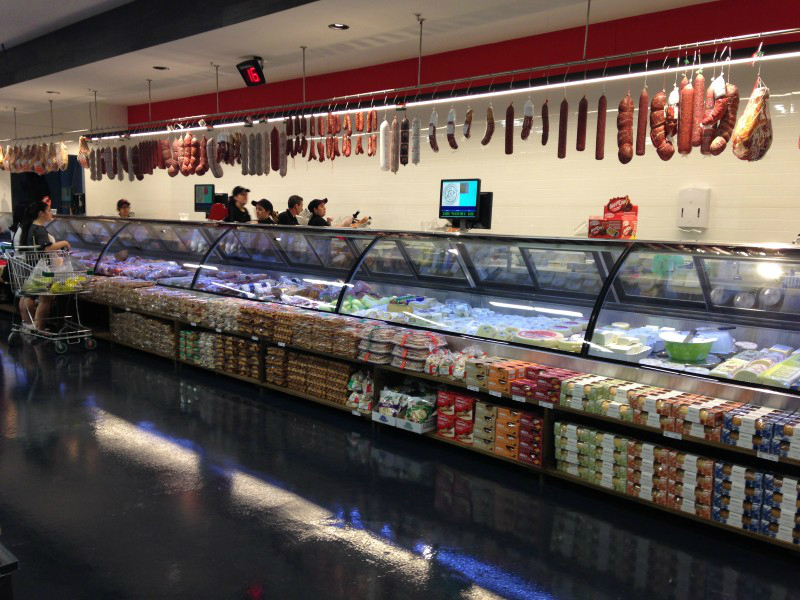 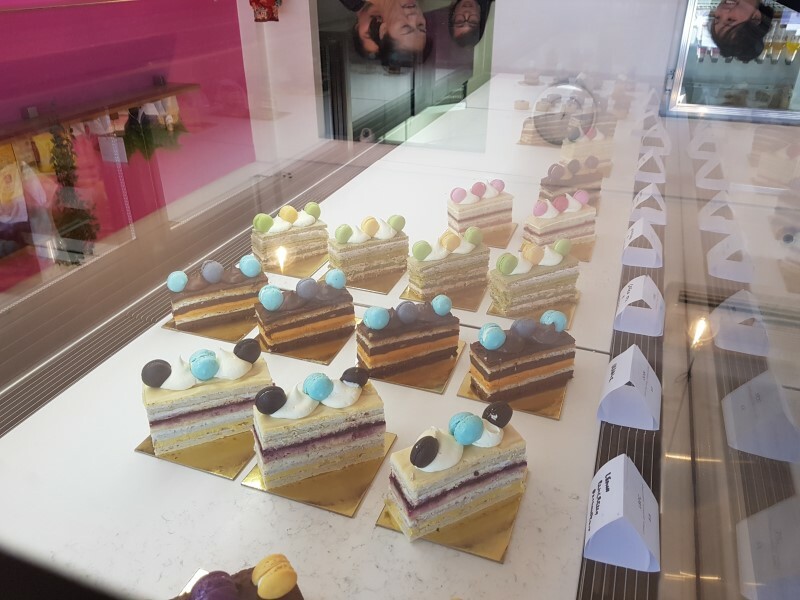 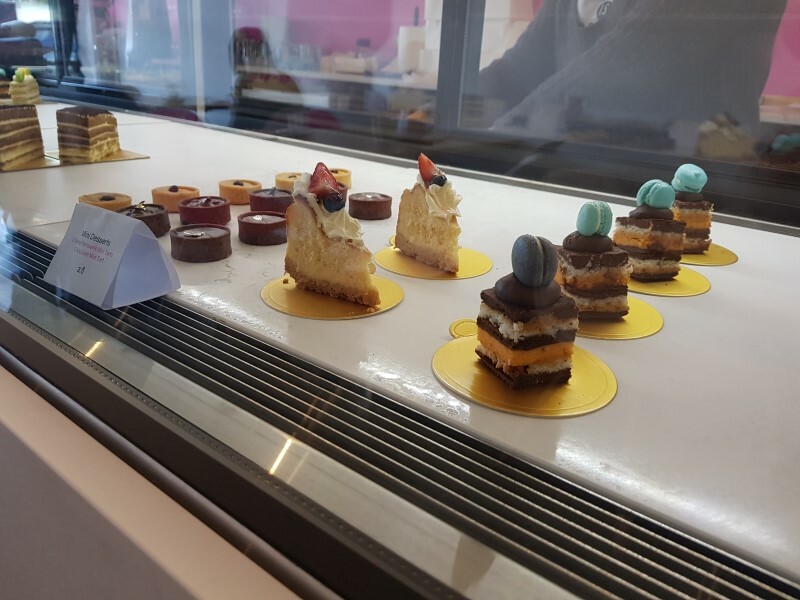 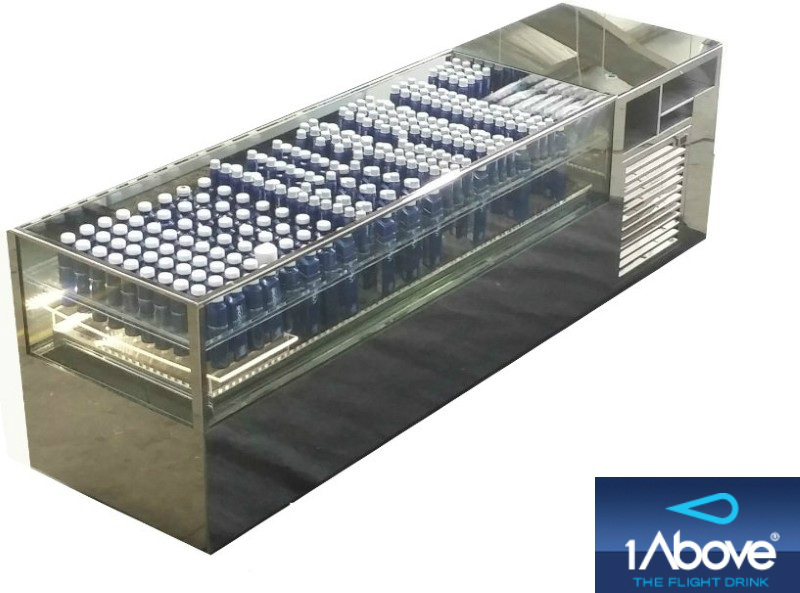 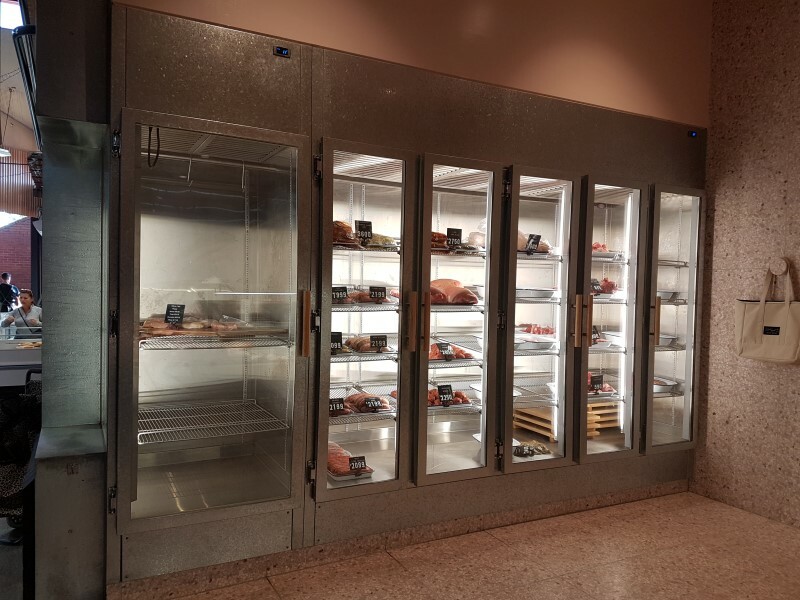 Brightly lit, large and bold, it can be seen by the passing traffic, yet maintaining temperature and adhering to all refrigeration regulations. 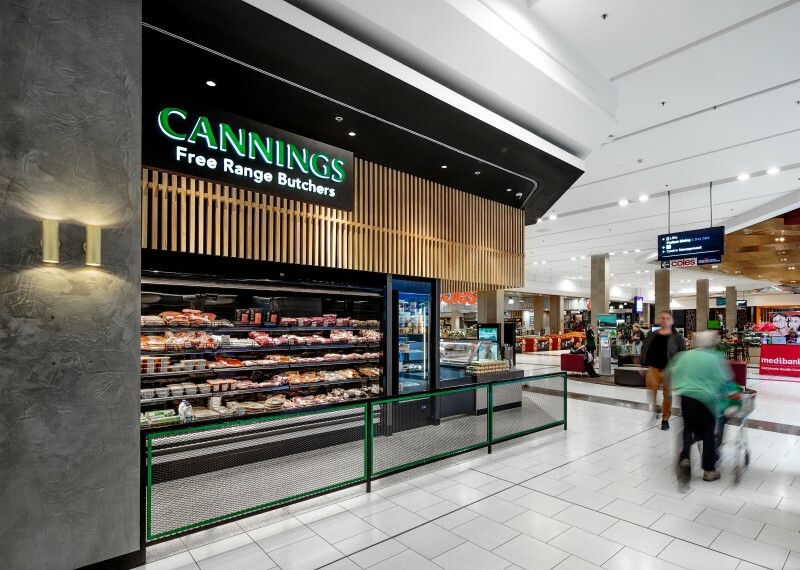 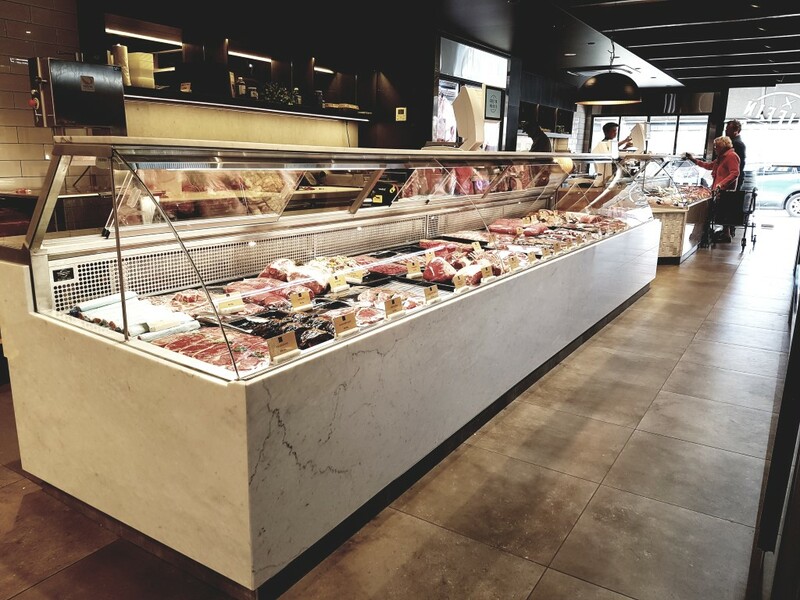 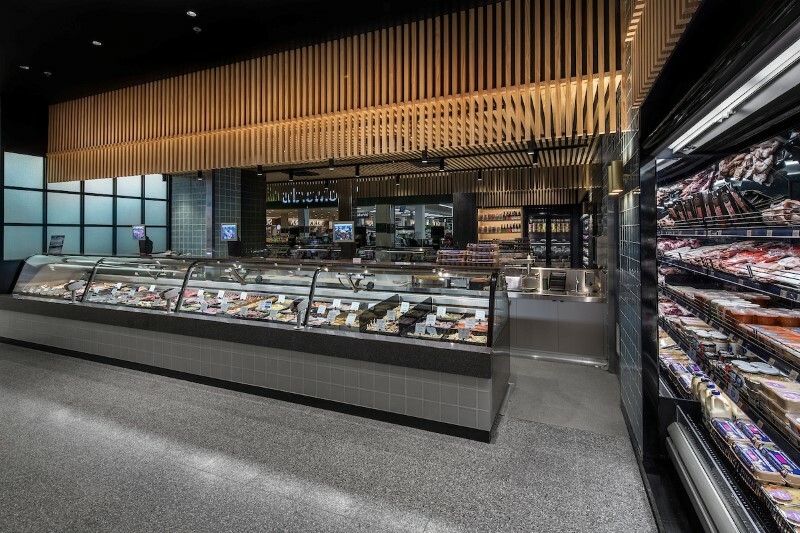 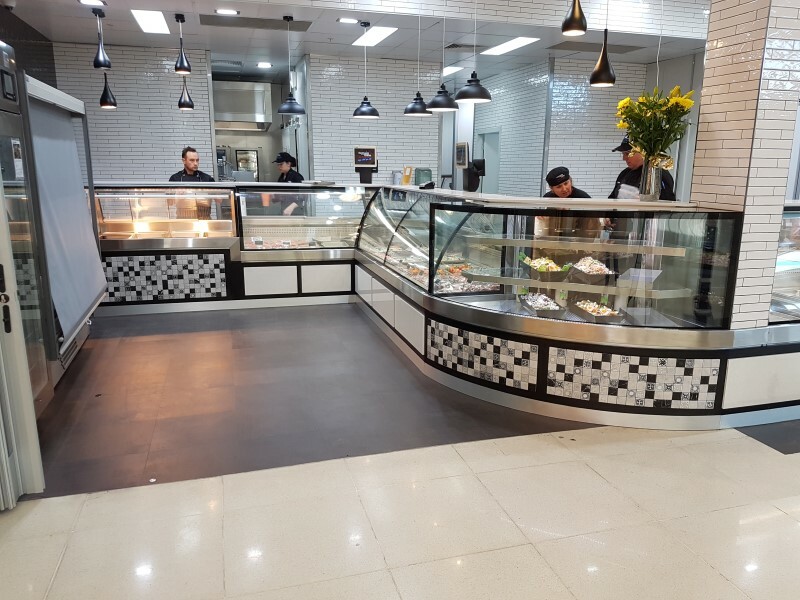 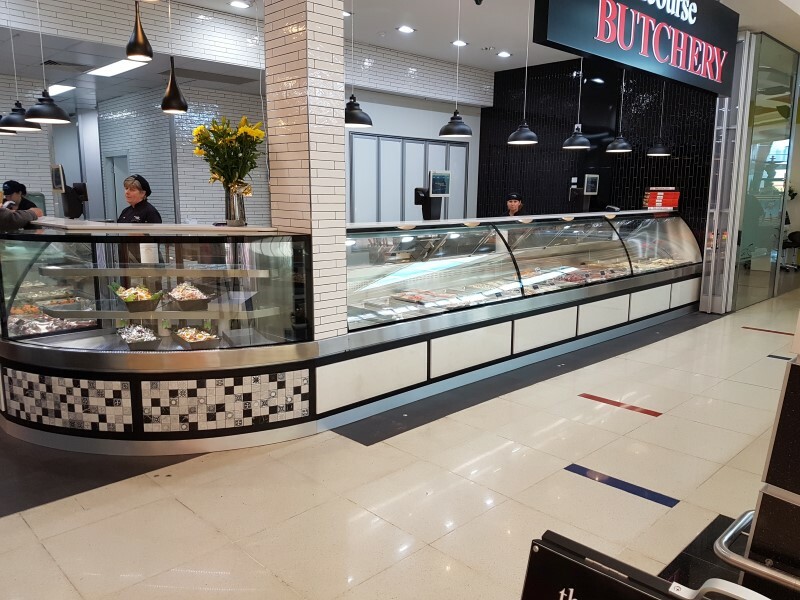 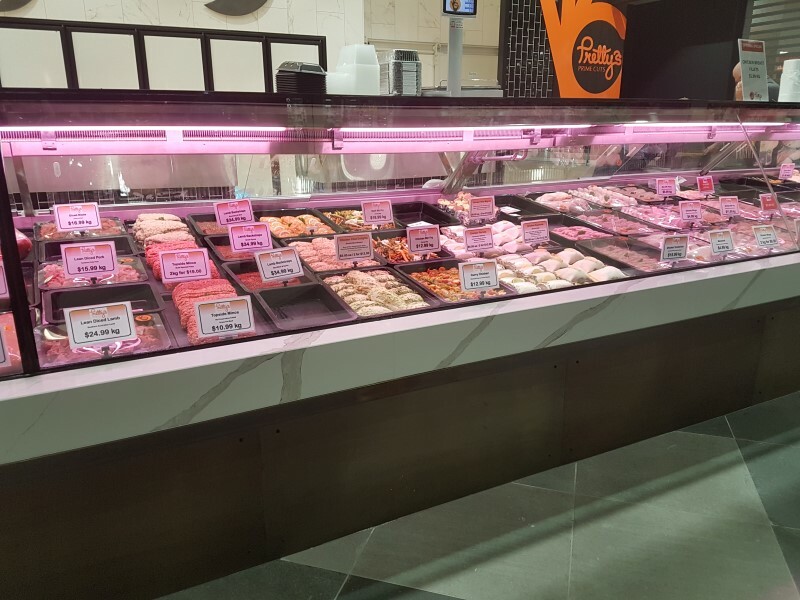 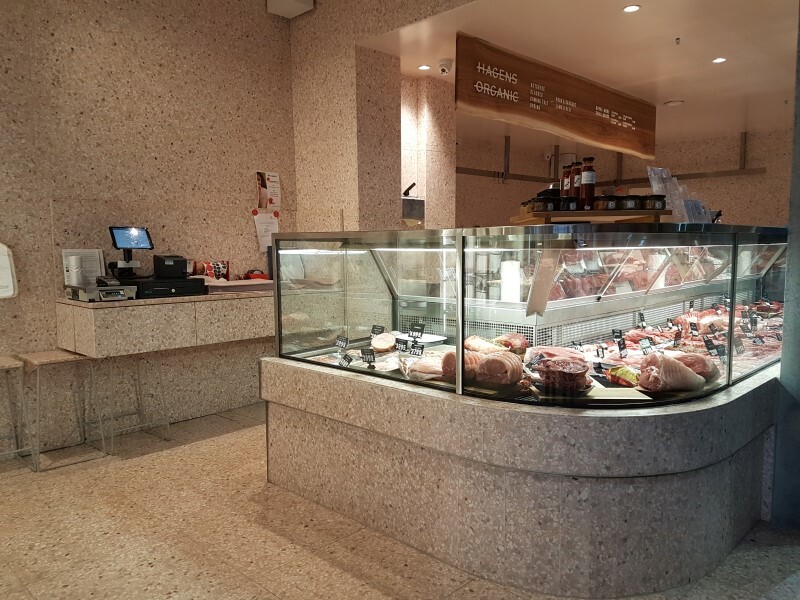 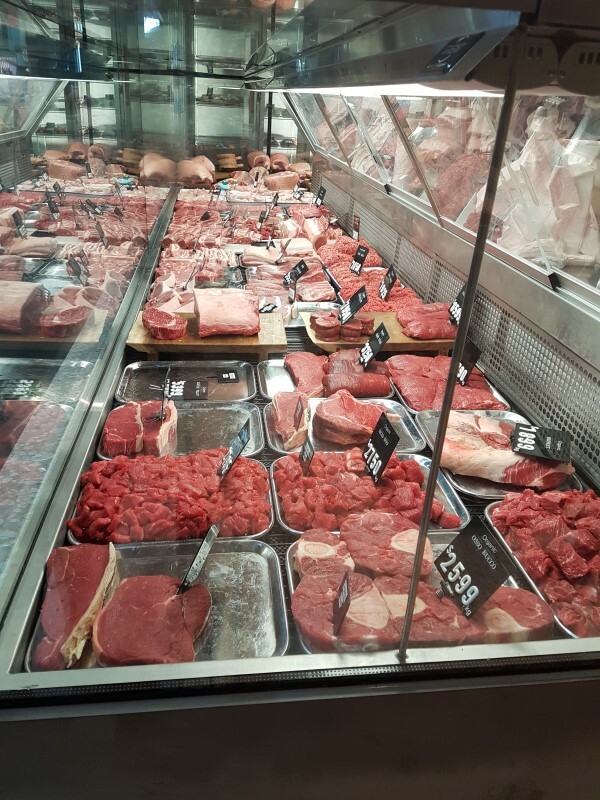 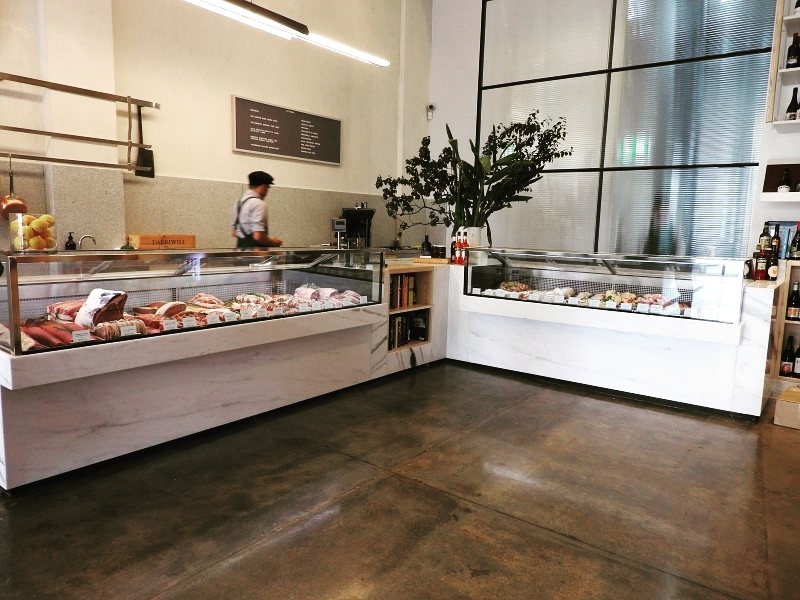 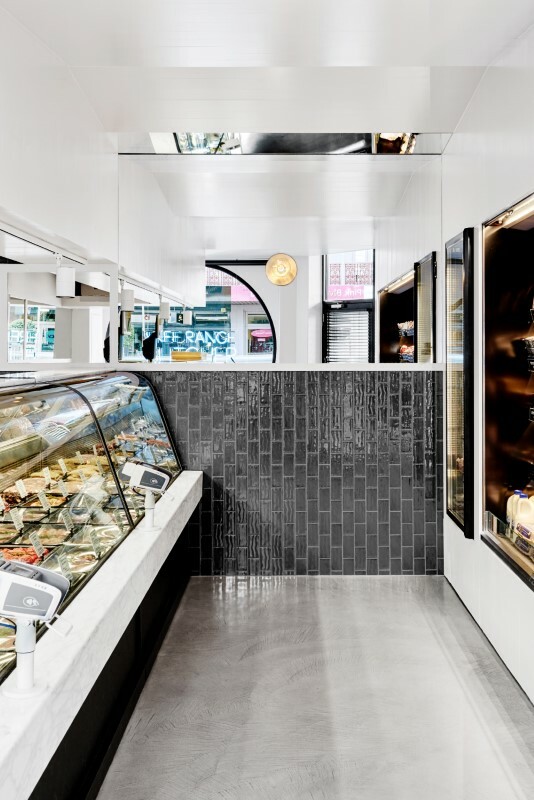 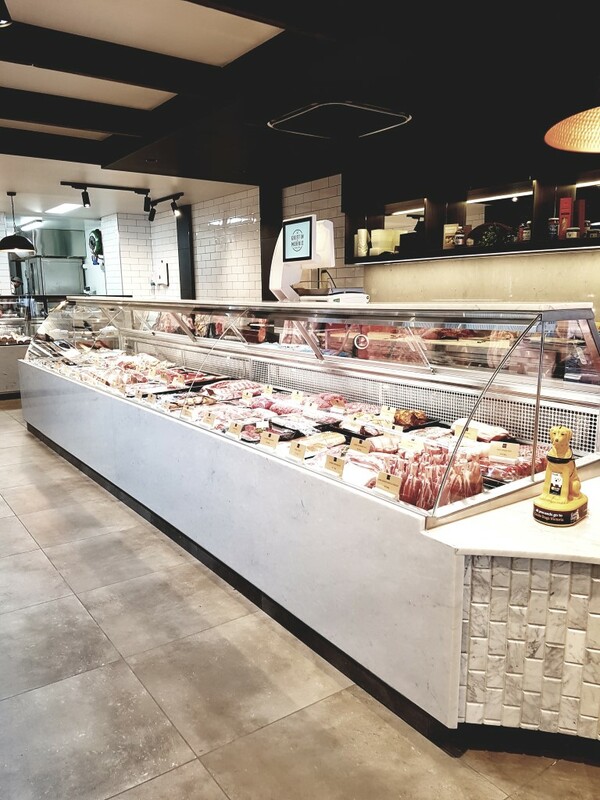 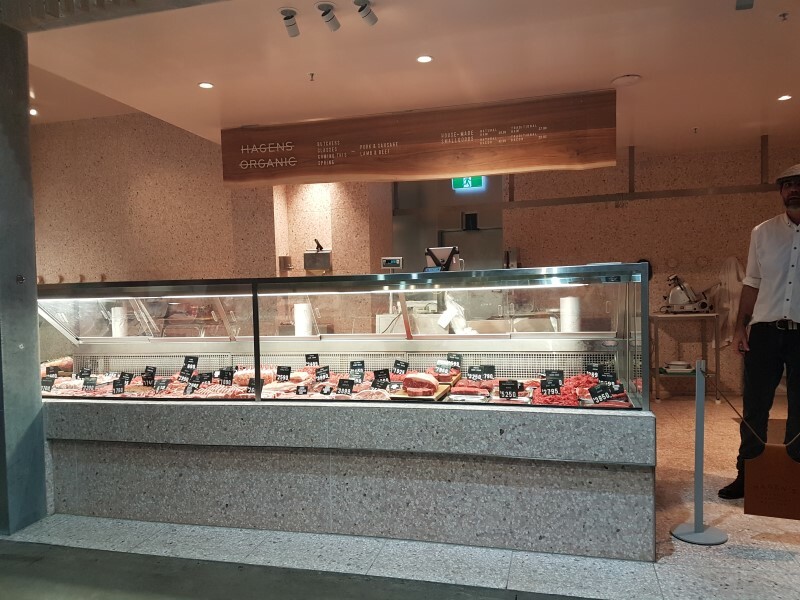 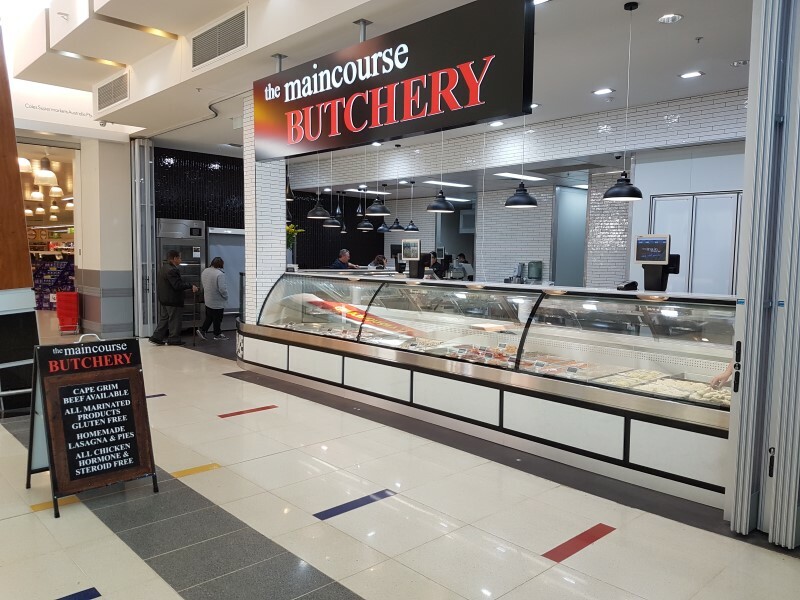 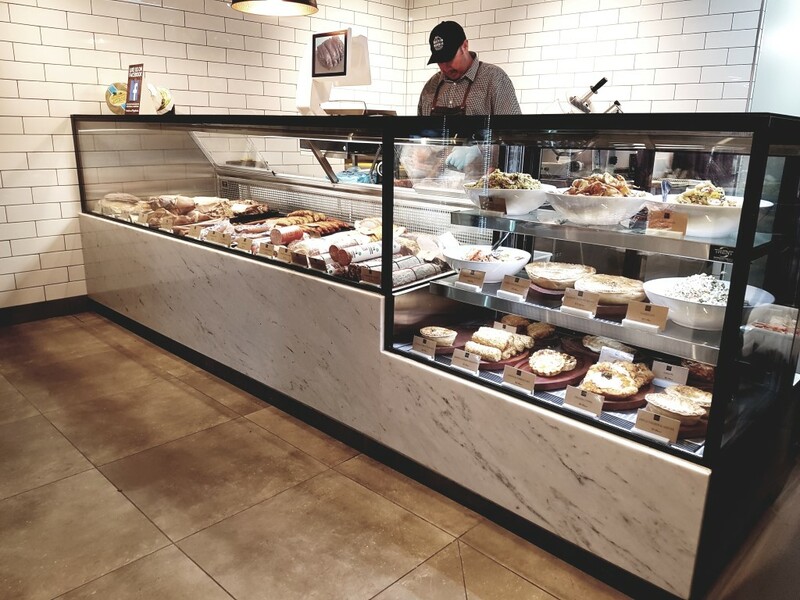 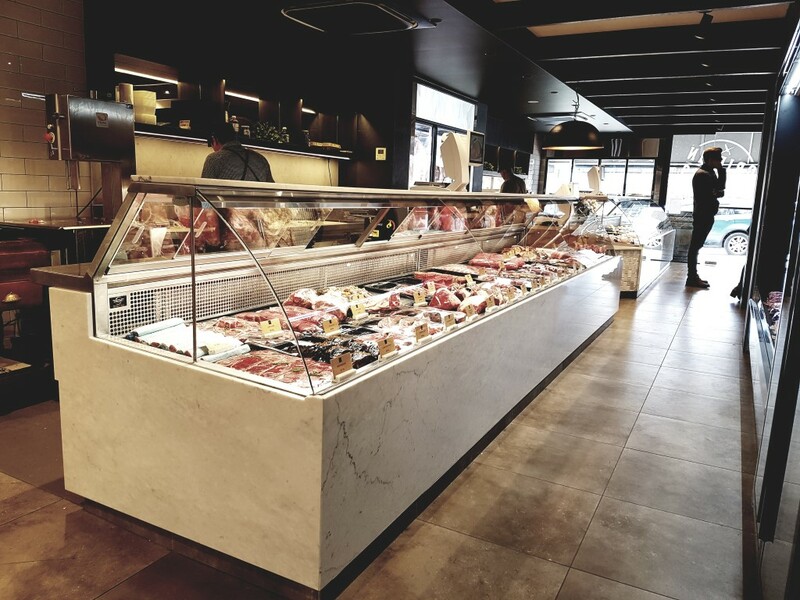 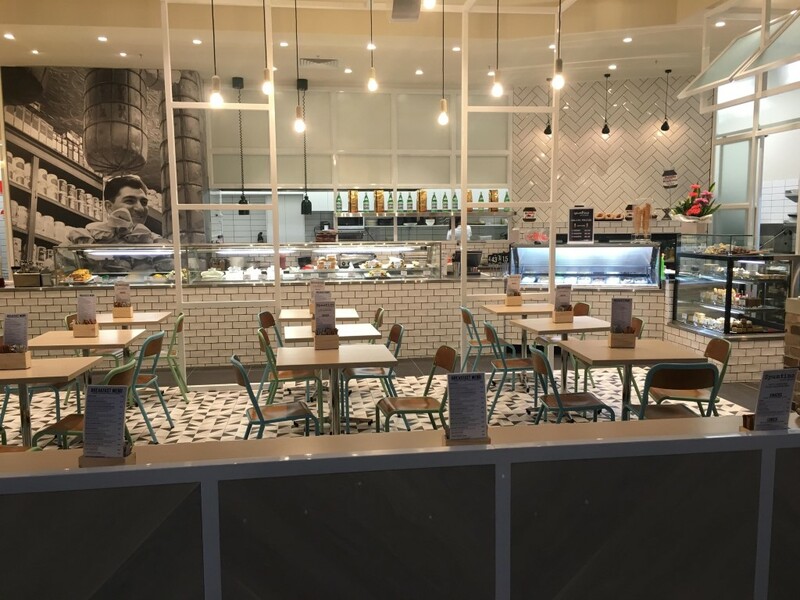 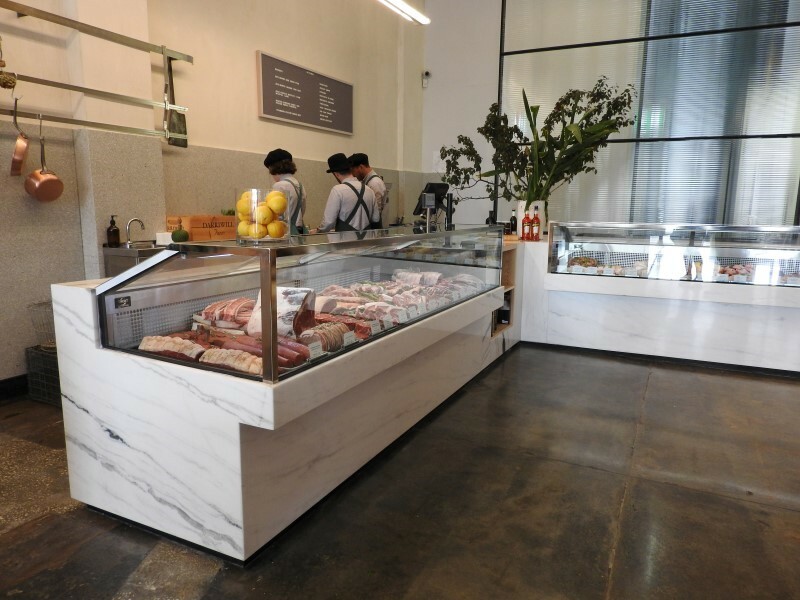 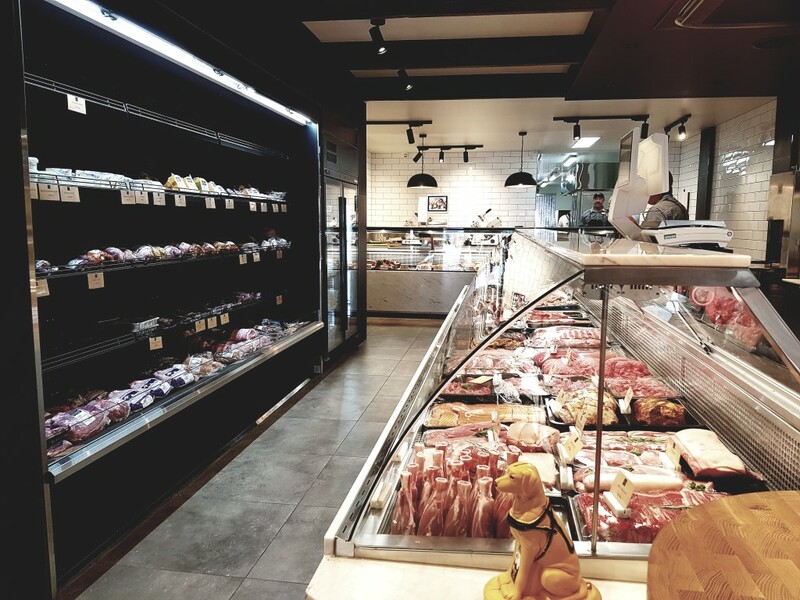 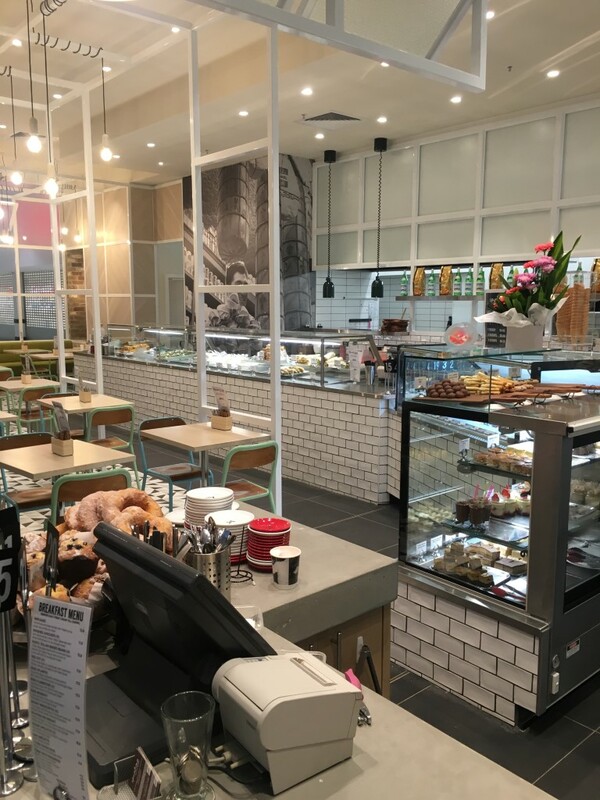 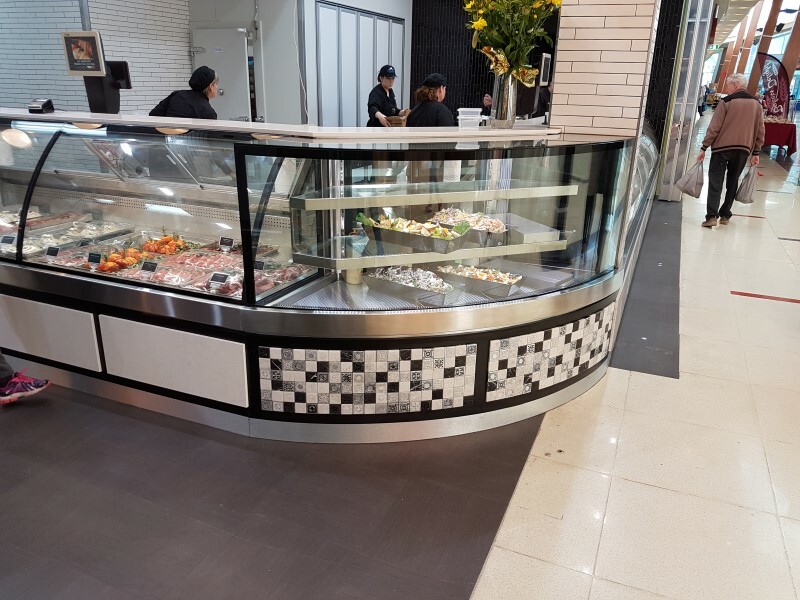 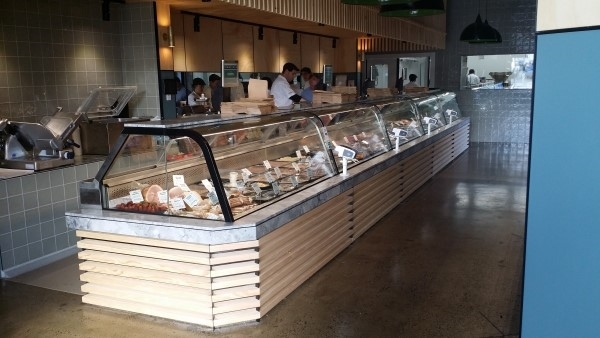 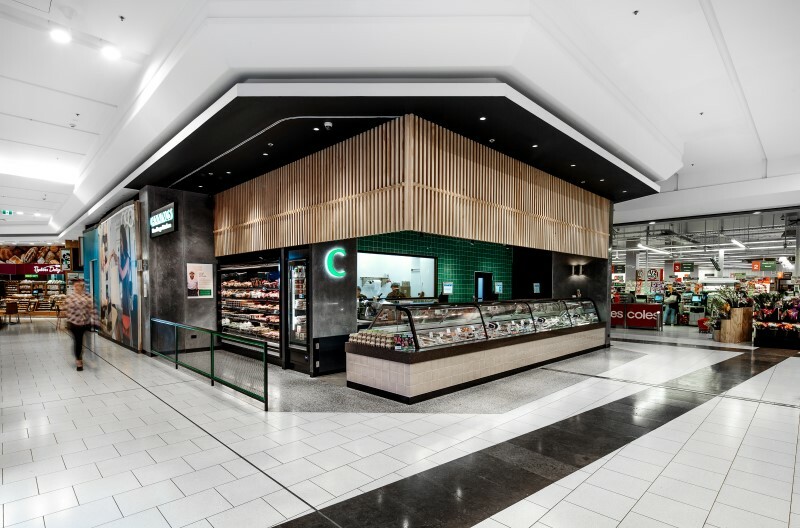 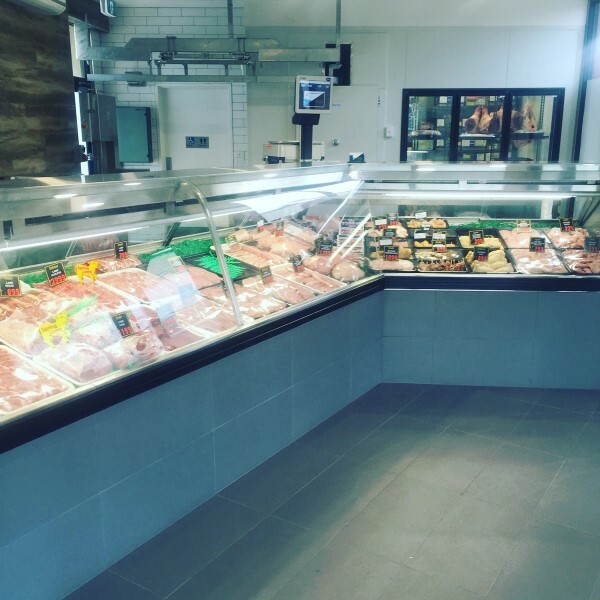 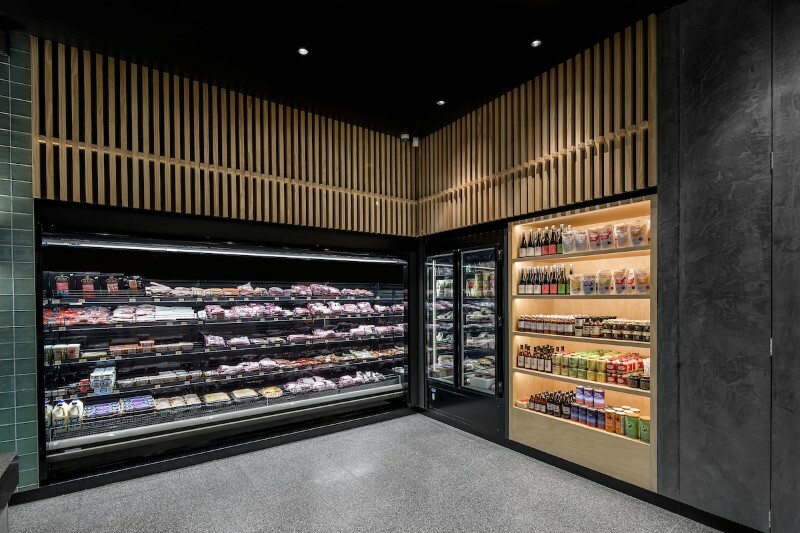 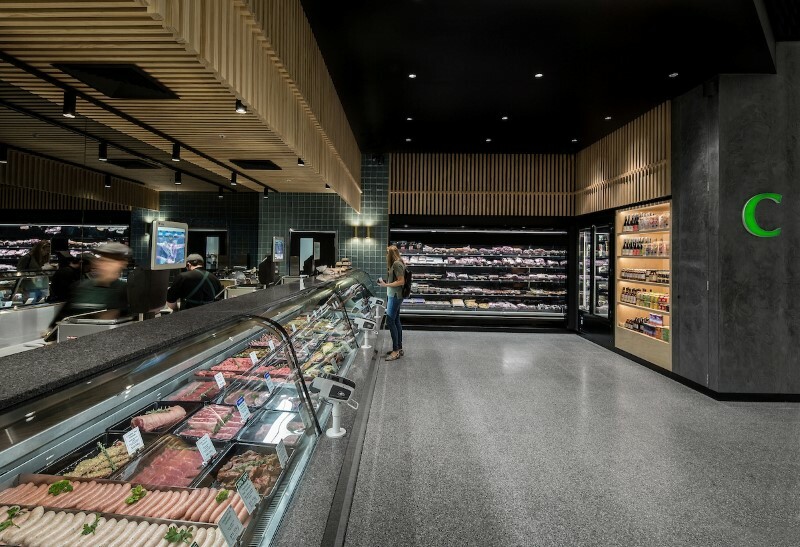 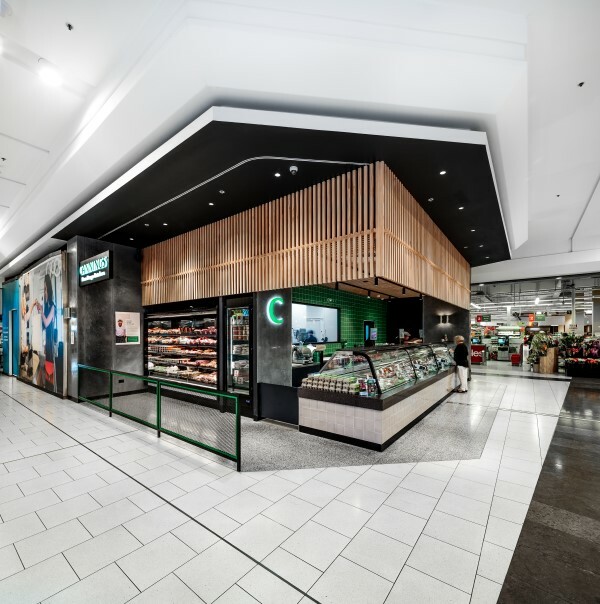 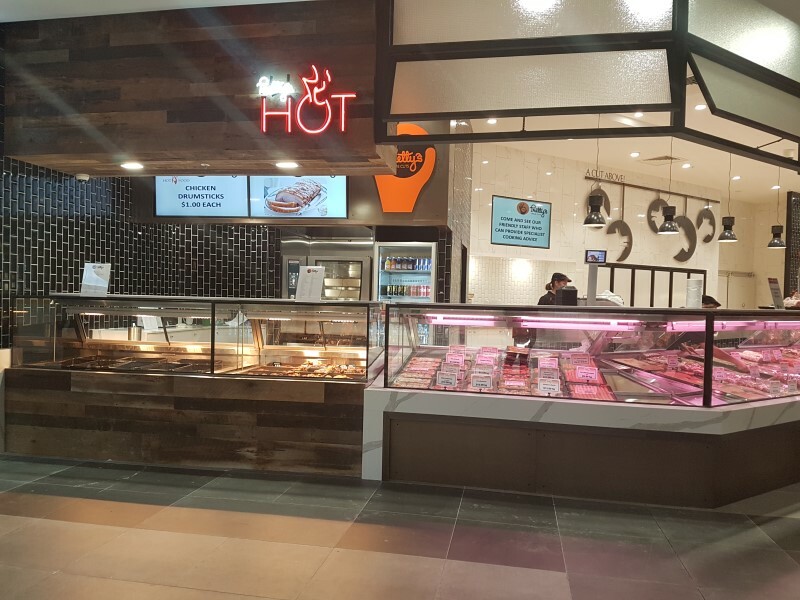 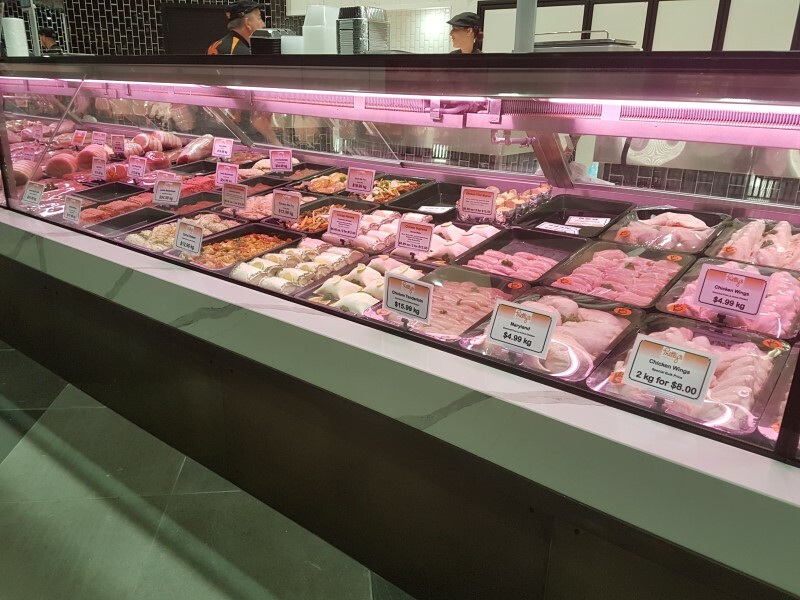 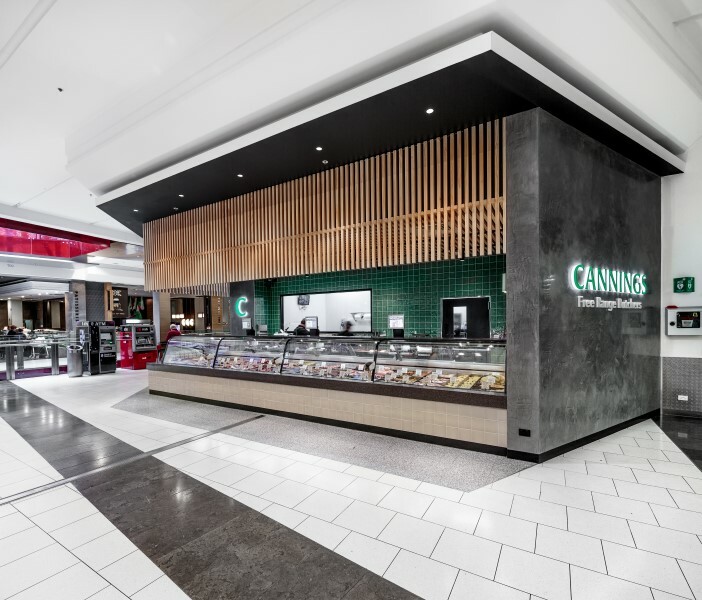 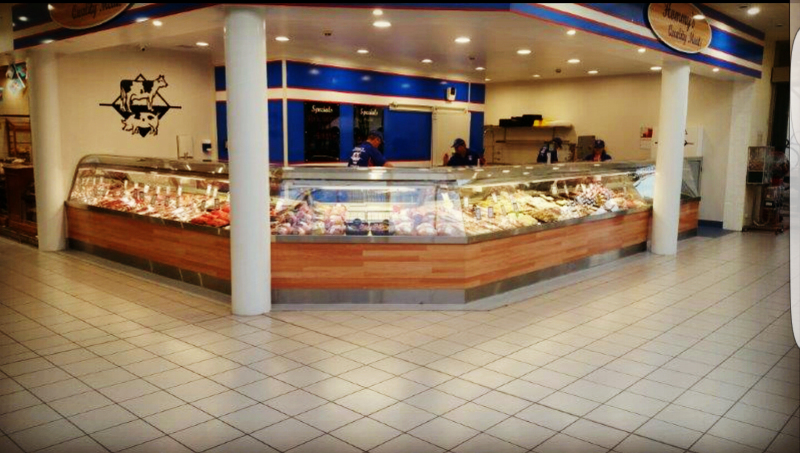 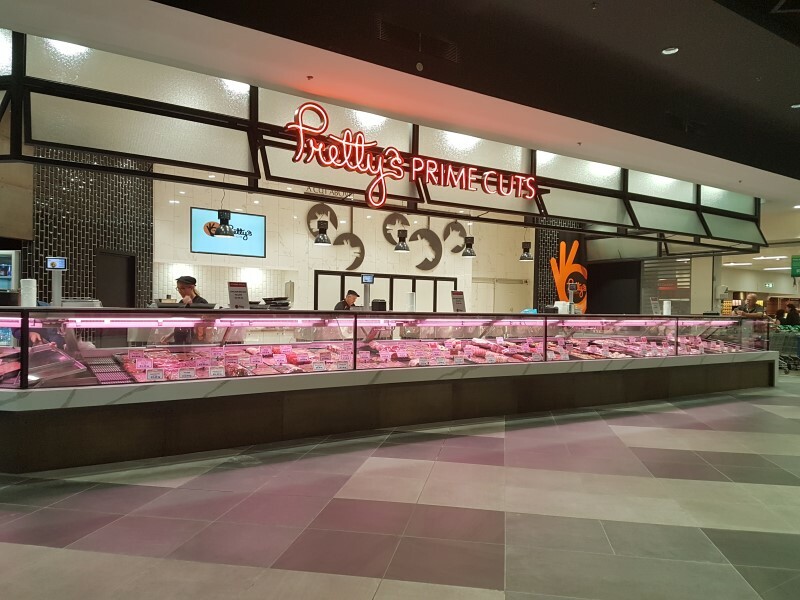 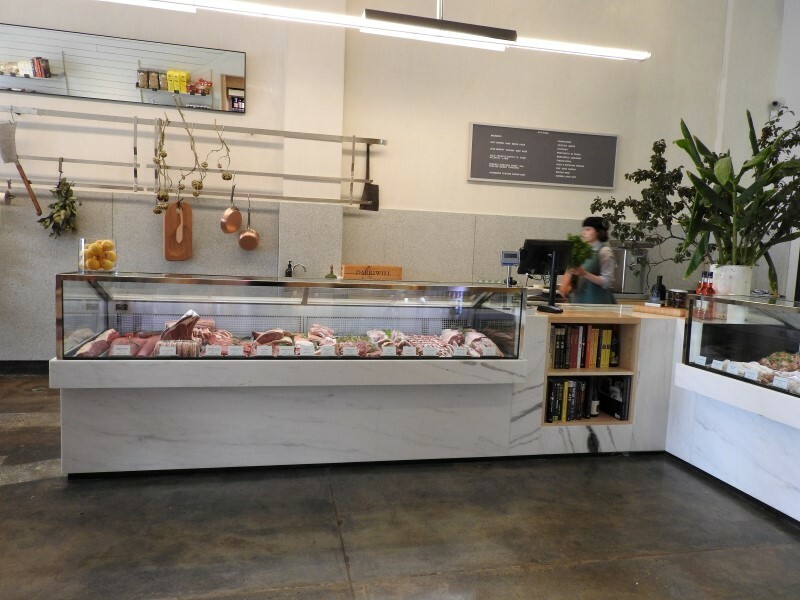 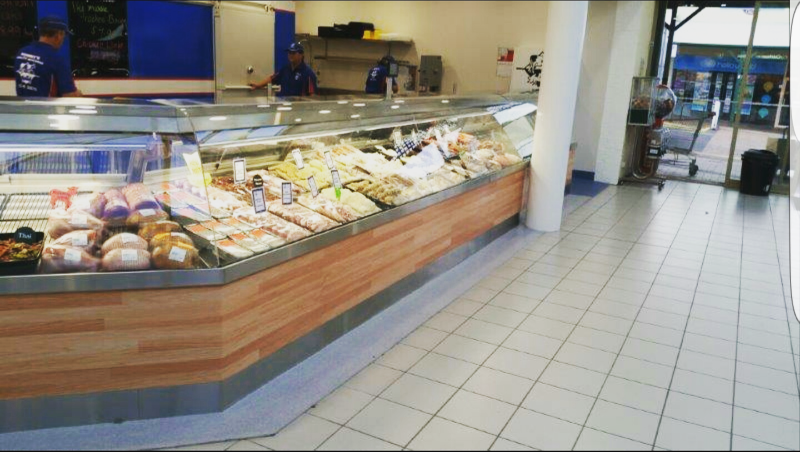 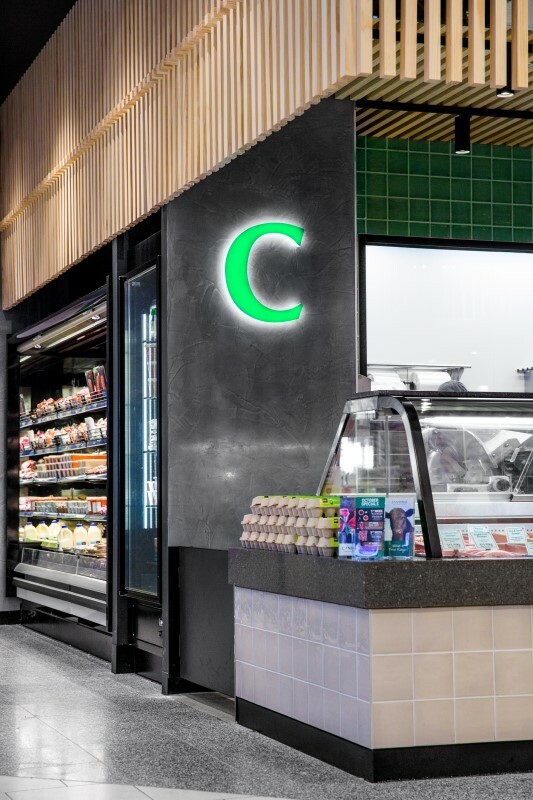 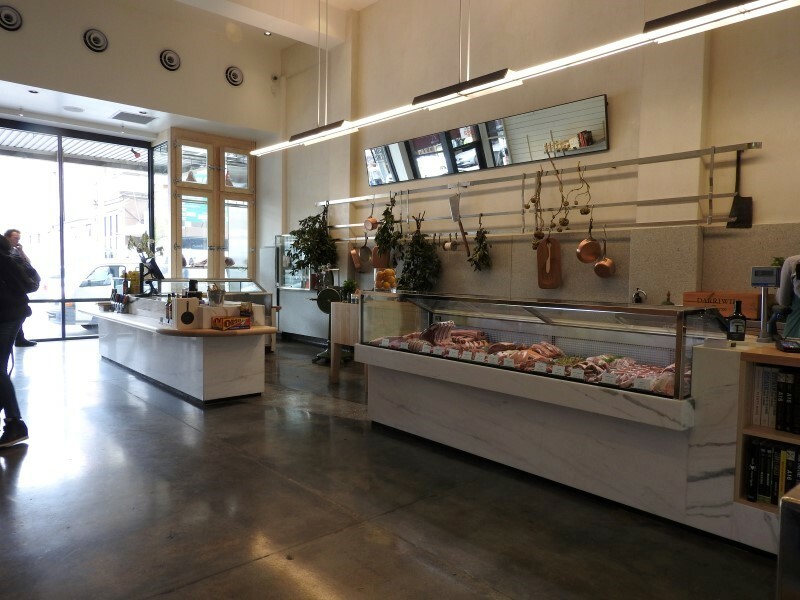 Trent has now been able to enhance the butcher display by adding shelving to the refrigerated space, allowing more products to be displayed. 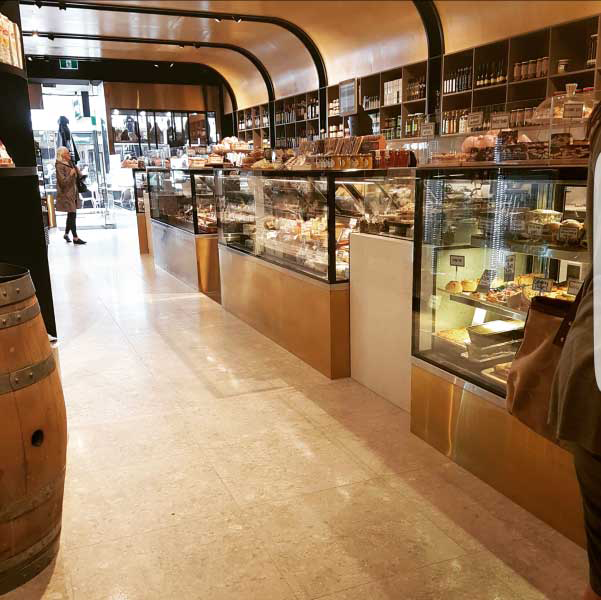 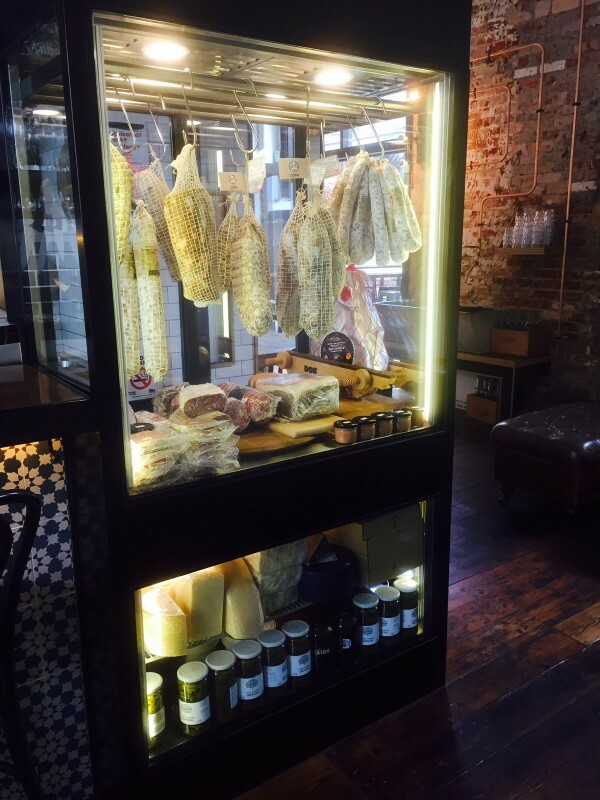 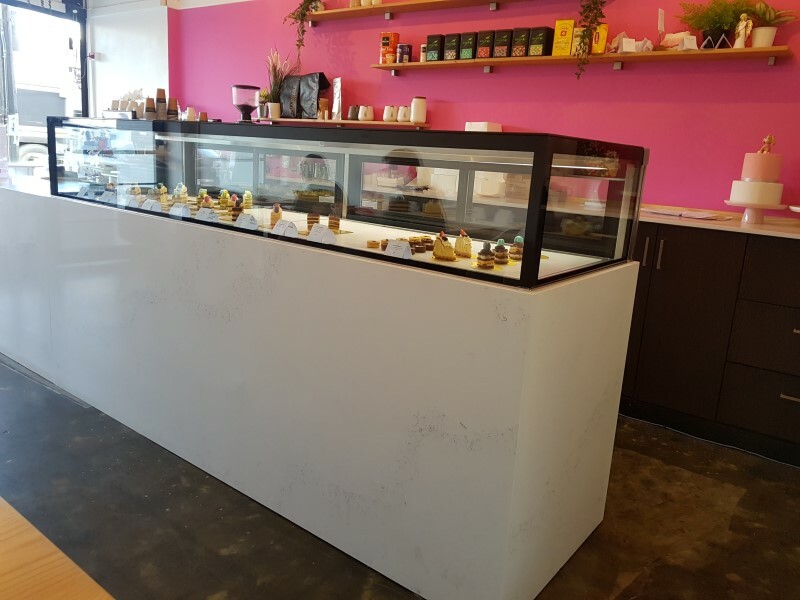 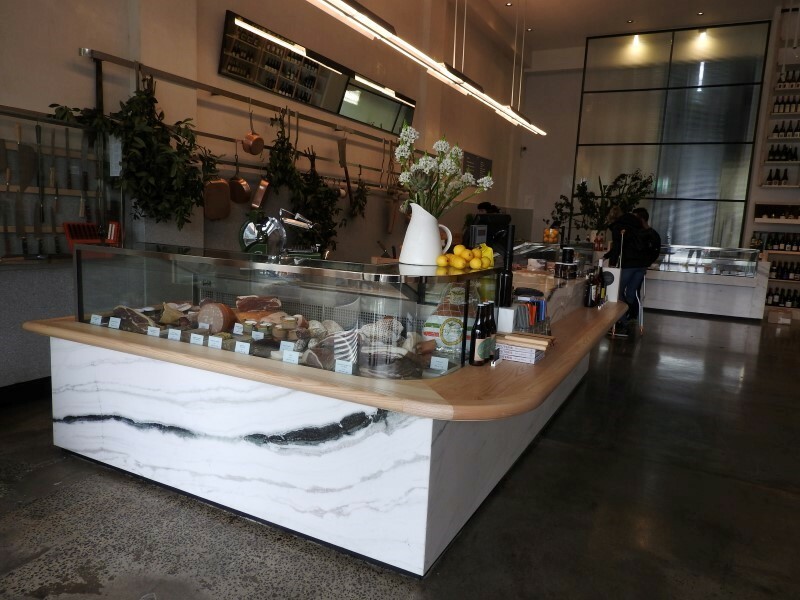 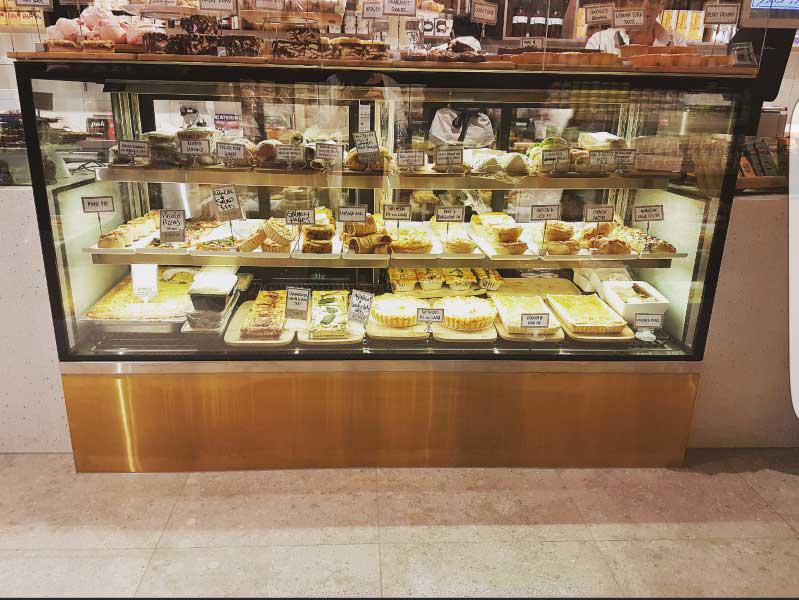 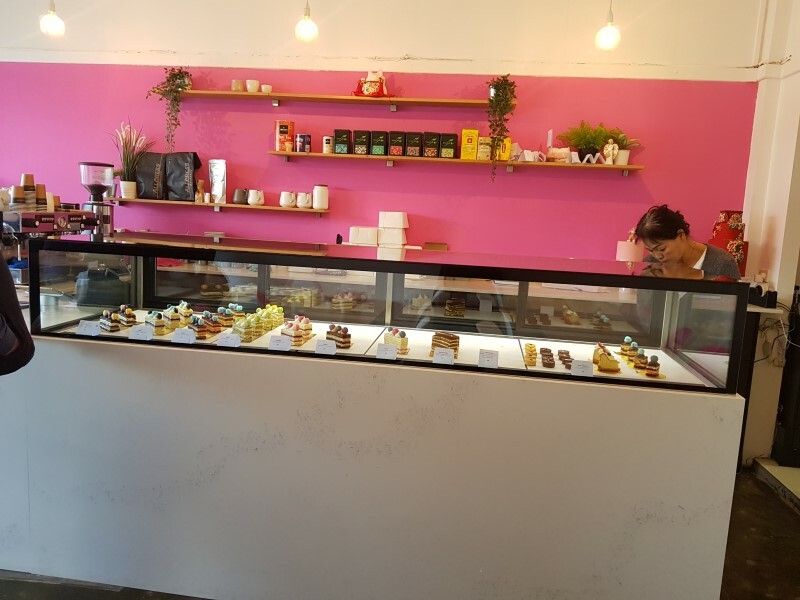 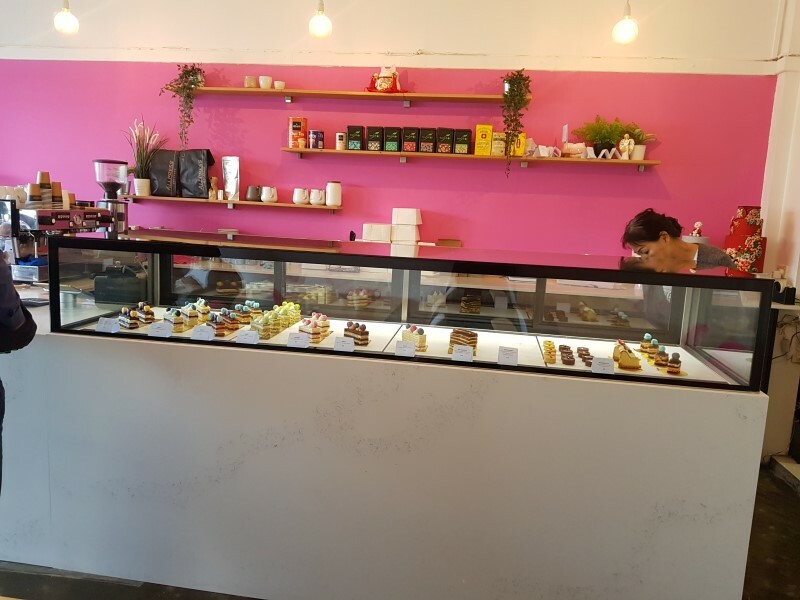 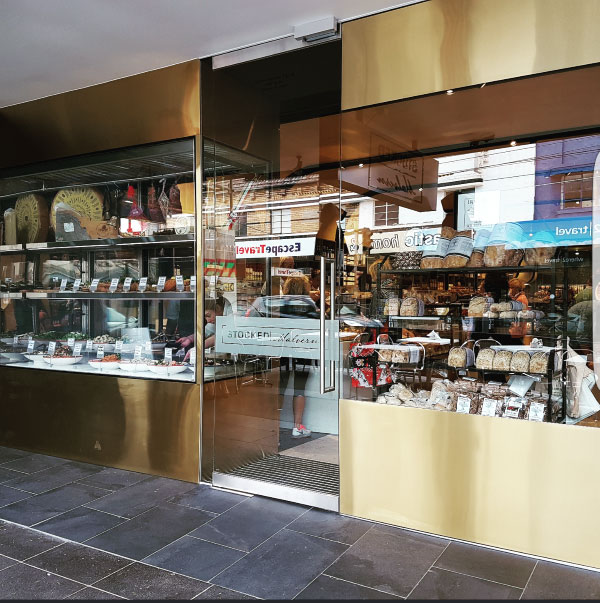 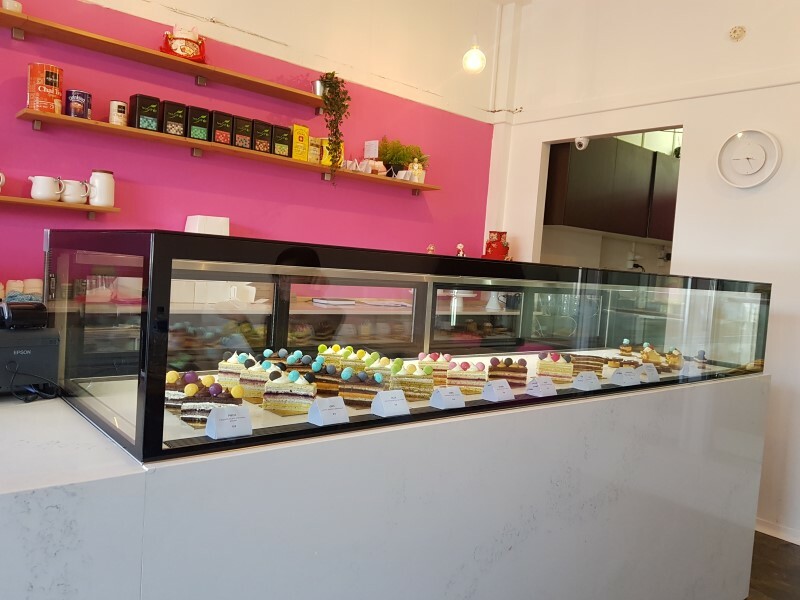 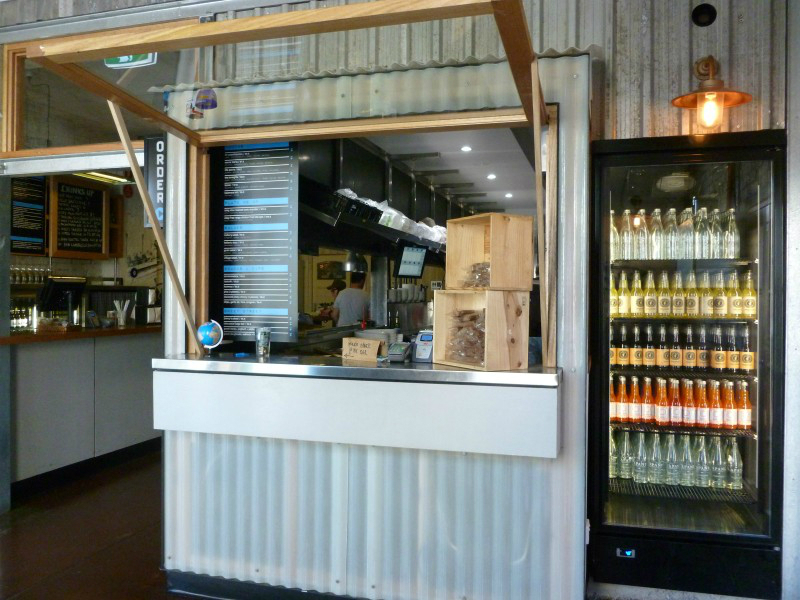 Trent has now completed shop front refrigerated windows for Cakes, Charcuterie, Meet, Cheese, Salad and much more!